This is not at all what I had in mind – but is awesome in a “Holy crap! No, YOU ride it.” kind of way. 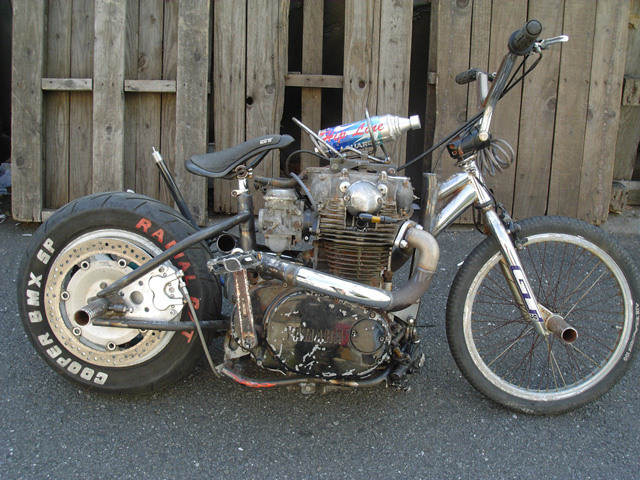 Via new Cafe (racer) Society -> Krt Schmidt -> Open Bike -> Jonny Pocket’s Blog. Check out the Norton (Manx?) immediately above the BMXer on Jonny’s blog – yowza!